SARA BLOOMFIELD, Director, United States Holocaust Memorial Museum: Thank you all for coming. We have in the audience a lot of Museum members. I want to thank you for coming today and for all you do to support the Museum. And we have a lot of our friends from the Polish community and we're very glad to have you back in this institution. It's great that we're doing this program this year because this year actually we will celebrate the Museum's 20th anniversary. And as it happens, our longest standing partnership, a partnership that predates the opening of our Museum, is with Poland—its government, its sites of memory, and its many professionals who like us are dedicated to Holocaust remembrance and education. And today's program is just another example of that wonderful partnership. And as you all know, Poland it not only the site of the six German killing centers, but during the war Poland endured uniquely horrific losses of both its Jewish and non-Jewish citizens. Half of the six million Jews killed in the Holocaust were Polish. And for those of you in the audience—many of you I'm sure have family members who experienced the Holocaust, or were killed in the Holocaust, or who were concentration camp inmates, slave laborers, or other victims of Nazi persecution—and I wanted to let you know, you might have seen this brochure outside, that the Museum has extensive archives with names of individuals who suffered Nazi persecution and please contact us so we can do research and help you learn more about their fates. As we know, 90 percent of Poland's Jews were killed during the Holocaust. But those who survived, those few who survived, mostly did so because they were helped. And in fact, Poland has more rescuers than any other country—over 6,300. Who were those extraordinary individuals who risked their lives to save a fellow human being? Well one of them was the mother of our first speaker, the Polish ambassador Ryszard Schnepf. Ambassador Schnepf is not only the son of an exceptional woman, but an old friend of this institution. He has had a distinguished career in public service in Poland for about two decades now, having served most recently as Poland's ambassador to Spain and the under secretary of state at the foreign ministry. But in this institution he holds another very valued title, for in addition to being a friend, he is a historian, sharing our conviction that if you really care about the future, you must know about the past. Ambassador Schnepf. RYSZARD SCHNEPF: Co-hosts, Ms. Sara Bloomfield, distinguished guests, ladies and gentlemen. I was offered only three minutes to talk today but believe me, to speak about Witold Pilecki it's not easy to be short, to be brief, so if I extend a little bit please forgive me. First, a big thanks to director Bloomfield for your excellent remarks as well as for hosting this event in the United States Holocaust Memorial Museum on this special day. I also would like to thank you for your special words toward my person. I definitely don't deserve them but I do my best as Polish ambassador that at the end of the mission you would repeat the same words. I am confident that the experts we will hear from today will shed some valuable insight into Captain Witold Pilecki's extraordinary personality and the story of his volunteering for capture and imprisonment in Auschwitz. This whole nation's...We have in our history ashes and diamonds. Today we will meet one of the most brilliant diamonds that we ever had in our history. Witold Pilecki's story is an example of the heroism and sacrifice that connect the tragic fates of Poles and Jews during the years of World War II. That becomes evident when you look at the images on the screen behind me. First, Pilecki as a Polish Army officer, then in concentration camp uniform. The first image underlies the fact that Pilecki's imprisonment in Auschwitz was not his personal endeavor. He went to Auschwitz on a mission set up and run by Poland's underground which later evolved into the Polish Home Army, the largest resistance movement in all of Europe. The photograph of Pilecki in his Auschwitz uniform is instantly recognizable to a survivor of the notorious German Nazi camp established in 1940 for Poles caught in a wave of mass arrests and persecutions. Two years later, Auschwitz-Birkenau was the largest Nazi death camp, receiving trainloads of Poles, Soviet war prisoners, guerilla fighters, and Jews from all over Europe. Eventually it was designated as the main camp for the extermination of Jews which made it inextricably linked to Jewish memory of the Holocaust. Pilecki's bravery and courage are extraordinary. He was not only a Polish officer, but also a husband and a father of two. Yet, he undertook his risky and [audio unclear] mission for a goal larger than himself, taking the righteous action at a time when resistance to the Nazis was punished by death. "There is always a difference between saying you will do something and actually doing it. A long time before, many years before, I had worked on myself in order to be able to fuse these two. "—Witold Pilecki, 1945. The information Pilecki got in his almost three years at Auschwitz was passed on by Poland's underground to its western allies. It was largely disregarded and certainly not acted upon. After the war's end, Pilecki was given a show trial by the newly established Communist regime in Poland. He was convicted and shot in the back of the head. Branded a traitor to his country who worked for foreign imperialism. Today, we see Pilecki as the highest example of Polish patriotism, bravery, and perseverance against powerful enemies. I am deeply convinced that we owe him our remembrance and acknowledgement, both as Poles and as Jews. 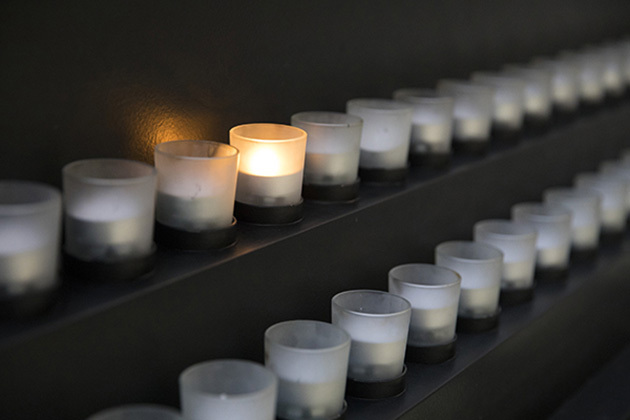 And I think that there could hardly be a better place to commemorate him than the US Holocaust Memorial Museum, whose mission is to inspire citizens and leaders worldwide to confront hatred, prevent genocide, and promote human dignity. Pilecki was a living witness to all these ideals, and ultimately paid the highest price for speaking the truth. As I am the ambassador of Poland, I feel happy and honored that Witold Pilecki today joins Jan Karski, Wladyslaw Bartoszewski, and numerous other Righteous Among the Nations on the list of Poles commemorated in this Museum. Thank you very much. EDNA FRIEDBERG: Good afternoon. My name is Dr. Edna Friedberg, welcome, witame, I guess you couldn't hear me before. I'm a historian here at the Holocaust Museum and joining us today are Dr. Timothy Snyder, who is the Housum Professor of History, at Yale University, and is the author of five award-winning books, including The Reconstruction of Nations: Poland, Ukraine, Lithuania, Belarus, 1569-1999. And in 2010, Dr. Snyder published Bloodlands: Europe Between Hitler and Stalin. In connection to our program today he also wrote the New York Times book review of The Auschwitz Volunteer: Beyond Bravery. This Museum is also pleased to have Dr. Snyder as a member of our Committee on Conscience, whose mandate is to alert the national conscience, influence policy makers, and stimulate worldwide action to confront and work to halt acts of genocide or related crimes against humanity. Welcome Dr. Snyder. EDNA FRIEDBERG: We are also very pleased to welcome having traveled from far away, Dr. Piotr Setkiewicz, the head of the research department at the Auschwitz-Birkenau Memorial Museum in Poland. Dr. Setkiewicz earned his doctorate for a dissertation on the I.G. Farben Werk at Auschwitz, 1941-45. He began working for the Auschwitz Museum in 1988, where he eventually served as head of the archives, later becoming head of the research department in 2008. Dr. Setkiewicz's research interests include the employment of prisoners in German industry and the history of the Auschwitz subcamps. Welcome Dr. Setkiewicz. I would like to reiterate Sara Bloomfield's thank you to the Embassy of the Republic of Poland and to Ambassador Schnepf. We are gathered here today on a most significant date, for today is January 27, which marks the 68th anniversary of the liberation of the Auschwitz concentration camp and killing center, and I can think of no better subject with which to mark this occasion. We are also here to acknowledge the publication for the first time in English of an extraordinary historical document, a firsthand account of life in what has been described as hell on earth, written by a true hero, Polish Army Captain Witold Pilecki. And it is thanks to the work of translator Jarek Garlinski, who I'm pleased to say is with us today, that for the first time this report can be read by an English-speaking audience. Captain Witold Pilecki was a man of deep principle. He was a passionate Polish patriot, a Catholic, and an unwavering opponent of totalitarianism in all forms who would eventually pay with his life. For context. During World War II, the German occupation of Poland was exceptionally brutal. The occupation authorities sought to destroy Polish culture by physically annihilating members of the political, religious, and intellectual elites. Between 1939 and 1945, the Germans and their collaborators murdered almost five million Polish civilians, of whom three million were Jewish. German authorities also deported at least 1.5 million Polish citizens as forced laborers to German territory, and imprisoned hundreds of thousands of Poles in concentration camps. It was in this context, and that of Soviet occupation, that Witold Pilecki repeatedly risked his life in defense of his country and of his ideals. With that background I would like to turn to our guests and begin our conversation. Dr. Setkiewicz, would you please tell us when and how you first heard the name Witold Pilecki? PIOTR SETKIEWICZ: It was when I began my work in the museum when I met for the first time [audio unclear] researchers in the museum, mainly [audio unclear] and of course shortly thereafter was Mr. Józef Garliński who was the author of the famous book Fighting Auschwitz, which was the story of the military organization led by Witold Pilecki in the Auschwitz concentration camp, that was the first time I heard about him. EDNA FRIEDBERG: And Pilecki, he himself came from a long line of Polish nationalists, is that true? PIOTR SETKIEWICZ: Yes but for many years this story was not known in Poland, was practically only in the beginning of the '90s that it beame more popular, now you can find many information about him in media, in books, in albums, movies, now he's considered one of the most important heroes of the Polish [audio unclear]. EDNA FRIEDBERG: As far as you know, is Pilecki the only person to have volunteered to enter Auschwitz? PIOTR SETKIEWICZ: Yes, as far as I know no one else ever [audio unclear]. EDNA FRIEDBERG: Now to set the stage, I'd like to turn to you Dr. Snyder, and help our audience to understand the context of Poland during this period. Tell them a little bit about how young modern Poland was, how it came into being and forces at work in the late 1930s when the war began. TIMOTHY SNYDER: So to understand the life of someone like Witold Pilecki, who was a Polish Army officer, one has to have a sense of how Poland came to be and what Poland was threatened by, and how Poland was finally destroyed. Poland came to be in 1918 as a result of the destruction of the three empires, which had partitioned Poland more than a hundred years before. As a result of the First World War, Germany was defeated, Austria fell apart, and the Russian empire broke apart and then became slowly the Soviet Union. It was in this interval that an independent Poland could be created. Now these origins are important, because these origins involved fighting against many enemies at once. Pilecki for example fought in 1919 and 1920 in an often forgotten war, the Polish-Bolshevik War, which was the decisive war for establishing Polish independence. When Poland was established, it was as a republic, a republic of and for the Polish nation but which had very large national minorities, the largest national minority were the Ukrainians, around five million, then the Jews, around three million, Belarussians about a million, Germans almost a million. So Poland was in fact a multi-national state. About 10 percent of the population was Jewish. In the larger cities, Warsaw, Lodz, a third of the population was Jewish. In the cities in the eastern half of the country, often a plurality or even the majority of the population was Jewish. Poland was in effect the largest, most significant Jewish country in the world at the time. There were as many Jews in Lodz, which many of you may not have heard of, as there were in Palestine in the 1930s. So when Poland was destroyed in 1939, what was destroyed? What was destroyed was this multi-national state. And Poles, and Jews, and Ukrainians alike found themselves without a state. And how was it destroyed? It was destroyed by simultaneous invasion from the west by the Germany army, the Wehrmacht, and from the east by the Soviet army, the Red Army. So people like Pilecki who were from the east and were used to seeing the Soviets as the main enemy suddenly found themselves confronting two enemies, both of which were determined to destroy the Polish state. EDNA FRIEDBERG: So Poland is caught between two murderous regimes. If we could back up for a minute and you could explain to the audience about the alliance into which Nazi Germany and Stalinist Soviet Union entered in August '39 and what their plans were for Poland. TIMOTHY SNYDER: The difficulty with the First World War is that we tend to begin the First World War at the moment which is most beneficial for us depending upon our own national orientation. For the Soviets the Second World War often begins in 1941 because that's when the Germans attack the Soviets. For Americans it often begins in December 1941 because that's when the Japanese attacked us. But in fact the Second World War begins in September 1939. And it begins in a very curious way. It begins with an alliance between Nazi Germany and the Soviet Union. An alliance according to which the two of them divided eastern Europe into spheres of influence and then occupied those spheres of influence—Germany taking western and central Poland, and the Soviet Union the Baltic States as well as eastern Poland. So the Second World War begins with an alliance and a joint attack between Nazi Germany and the Soviet Union. EDNA FRIEDBERG: If I could turn to you Dr. Setkiewicz. With this context of Nazi Germany coming from the west and the Soviets from the east, when does Auschwitz become part of the story, when was the first Auschwitz camp built, and for what purpose? PIOTR SETKIEWICZ: Auschwitz was built, organized, on the site of a former Polish military base, it was June 1940, originally built for Polish political prisoners and the first transport of Polish prisoners were sent from jails in southern Poland, Silesia, especially from Krakow. These people were the majority of prisoners in Auschwitz in 1940. Some German prisoners, mostly criminals. Also a few Jews, about three to four hundred Jews were brought to Auschwitz in 1940 but they almost immediately after registration in the camp were sent to the punishment company and the mortality rate was extremely high, and reached for these Jewish prisoners approximately 90 percent, average mortality among the Polish prisoners was about 50 percent. And the same situation prevailed in 1941, over 1,200 Jewish prisoners brought to Auschwitz and the mortality then reached about 80, 85 percent. EDNA FRIEDBERG: If I could interrupt for a minute. Could you explain to our audience the causes of these deaths? Were these people being actively murdered, were they dying as a result of conditions? Describe a little more the physical state and policies. PIOTR SETKIEWICZ: Mostly the death was the result of the extremely brutal treatment on the site of the guards, the soldiers, the guards, as well as the kapos, in this punishment company, many "green" functionary prisoners, prisoners who received the green triangles were Germans and used to kill Jewish prisoners usually after two, three, five days of their stay in this punishment detail. EDNA FRIEDBERG: When you say green triangle you mean the badge on their prisoner uniform to identify them? EDNA FRIEDBERG: Part of the hierarchy. If we could actually go back a slide please. This slide actually is from September 1939 and I wanted to have it up when we go back to our story of Pilecki simply because it shows destruction in Warsaw. This is after a German air raid, bombardment, in 1939. This photo, by the way, which I think is very striking, is part of a very horrifyingly beautiful series of photos taken by an American photographer, Julien Bryan, and can be found in the Museum's collections. You can look at it on our website as well. I wanted to put it up because Pilecki during this first year of the war is in and around Warsaw and when he volunteers to be rounded up, he is not acting alone, he is part of a broader network of Polish underground resistance. Could you tell us something about that resistance? TIMOTHY SNYDER: Sure. So one of the things which is touching about this picture is that it's Warsaw, which is simultaneously a Polish city and a Jewish city. The bombardment of Warsaw was the first large-scale bombardment of civilian targets from the air in the history of the world. We remember later incidents like Dresden, but the first one in the history of the world was the Luftwaffe's bombing of Waraw. Never before had a major city been bombed in this way. Something like 25,000 people were killed in the bombardment, which was a horrifying total at the time, and even I think for us, I mean it's half of Hiroshima, if you think about it. And those casualties were divided rather evenly between Poles and Jews. And for many Poles and Jews the destruction of Warsaw from the very beginning would be a kind of symbol. And the destruction of the city progresses, as the war goes on, the ghetto will be burned down, the entire city will be burned down, we'll get to all of that. Pilecki was a soldier. He fought in the Polish Army. His platoon was dissolved only two weeks after the fighting was over, and he joined the Polish underground. The Polish underground were not partisans. They regarded themselves, and they were in fact, the continuation of the legally constituted and existing Polish Army. The Polish government went into exile in Romania, France, later in London. It had two major branches of its armed forces, and one was the units which came to be called the Home Army, inside Poland. Pilecki was working for them. Now, I'm talking about resistance at a time when Poland's main army has been overcome, when the state has been destroyed, and when the Germans have set about trying to physically eliminate educated Poles who might possibly reconstitute the state. One of the ways they're going about this is that they're sending people to concentration camps, one of which was Auschwitz. Auschwitz was familiar to people like Pilecki because precisely Auschwitz had been a Polish military base, it was a Polish military barracks under the name Oswiecim. But people were starting to disappear, first from Silesia and then from the summer of 1940 into Auschwitz. And Pilecki volunteered as a member, as an officer within this underground army to go and to see what was happening. EDNA FRIEDBERG: What was the goal of his mission? Either of you can answer. PIOTR SETKIEWICZ: The goal was to organize the core of the organization in the camp and then to prepare for a possible rising in cooperation with partisans and [audio unclear] help the prisoners, and then to send messages about the situation in the camp, primarily to the Polish headquarters of the Home Army in Warsaw, and then prepare for a possible fight against the Germans, particularly in case as it was suspected it was quite possible that one day they decide to liquidate the camp, that might be the moment when the prisoners should fight and perhaps also escape the organized massacre of many individual. These were the fields of his activity in Auschwitz. EDNA FRIEDBERG: So he had multiple goals, there was an intelligence goal, and there was also preparing for future action depending on the course of the war or what was possible. TIMOTHY SNYDER: If I could just jump in there, Edna. Later on, one of the questions that so many of us have asked is why didn't the Allies bomb Auschwitz, why didn't that happen. Pilecki was one of the very first if not the first person to begin that particular line of complaint because one of the contingencies for an uprising in Auschwitz would have been precisely a serious bombing of the facility, so Pilecki was hoping that either the Polish resistance would choose to attack or the Allies would choose to attack Auschwitz, neither of which of course happened. EDNA FRIEDBERG: I think what we're getting here through both of your answers is also a sense of interconnectedness, the interconnectedness of ethnic dynamics within prewar Poland with the way that resistance unfolded during the war, the interconnectedness of the Nazi assault on civilian Poland with its network of concentration camps, and the interconnectedness of resistance movements inside and outside camps. So we have a larger web of activity as opposed to an isolated story. We could go ahead and advance the slide please, actually two slides. Yes. I wanted to show this picture of Witold Pilecki with his wife and one of his two children, in order to give us a sense that this was a man who had a lot to lose. At the time that he volunteered for this highly dangerous mission from which he had a good expectation that he would not return, he married with two young children and he was not acting alone neither in the resistance nor in his risks. "I bade farewell to everything I had hitherto known on this earth and entered something seeming no longer of it. We were struck over the head, not only by SS rifle butts, but also by something far greater. Our concepts of law and order, and of what was normal, all those ideas to which we had become accumstomed on this earth, were given a brutal kicking. Everything came to an end." Now let's help our audience understand, how did this go from a plan to actually entering Auschwitz. How did he get from Warsaw to Auschwitz? Either of you. TIMOTHY SNYDER: So he made his way to a roundup. People were rounded up. He made his way to a roundup. The details are slightly unclear. But he got himself into a situation where he would be rounded up with others and taken to a transit point, and from there to Auschwitz. And he had moments of hesitation. He could see, being a rather intelligent and physically capable man, he could see various places where he might have escaped on the way. And he willed himself not to escape, he willed himself all the way into Auschwitz. And I think this is a point worth pausing upon, because one could think of the impulsive courage of saying to someone "Oh yes I will volunteer to go to Auschwitz." One can perhaps imagine the impulsive courage of actually getting oneself into that roundup. But staying the course and actually going there, and arriving and seeing what it was, and then remaining for almost three years, that describes an entirely different kind of courage from a rather special sort of individual. EDNA FRIEDBERG: It's quite probable that in the same roundup in which Pilecki was arrested was also arrested Wladyslaw Bartoszewski, whom the Museum will be honoring in April with our highest award, the Elie Wiesel award. So again, multiple connections. Dr. Setkiewicz, what could Pilecki and his comrades in the Home Army have known about what was going on in Auschwitz at the time? Where do you think he thought he was going? PIOTR SETKIEWICZ: I think that at this particular moment very little. When Pilecki was arrested, the population of Auschwitz reached about 2,000, little bit more than 2,000 prisoners. EDNA FRIEDBERG: Let me interrupt you for one second. At its peak, what is the prisoner population of Auschwitz later in the war? Just to give a sense of the scale. PIOTR SETKIEWICZ: At the end of 1940 was about 7,000 people, in 1943 about 70,000, in 1944, 140,000 in all branches of the Auschwitz complex. As you can see, initially Auschwitz was a camp that might be compared at this moment with many other camps in Germany like Sachsenhausen, like Mauthausen, was not biggest. EDNA FRIEDBERG: Thank you, just wanted that context. EDNA FRIEDBERG: So word did get back, it's not as though Auschwitz was at this point some sort of black hole into which a prisoner would just disappear. Families did hear. Pilecki was put to work as a forced laborer. Could you tell us something about what daily life would have been like for him and his fellow prisoners in this period, 1940, '41. PIOTR SETKIEWICZ: So for him and many others on this transport the most important thing was to find the good work, work that was called in Auschwitz "under the roof" in the so-called better commando, better work conditions [audio unclear]. But initially had to pass through the all the procedures, as registration, as receiving new clothes, prisoner clothes, new clogs, wooden clogs, and to live together with other prisoners in the barracks of the Auschwitz camp. He was also the target of the brutality of the German kapos and block seniors, so his situation at the very beginning was identical, the same as thousands of other prisoners. But because he was still young, because he had certain contact with prisoners who reached Auschwitz earlier, I mean there were also [audio unclear] officers of the Polish Army, so thanks to these links, these contacts with these people, he was able to receive better jobs in the camp. For instance for a couple of months he worked as a carpenter in a shop that was located "under the roof," some distance from Auschwitz itself, was a good job, [audio unclear] was probably the reason why the only people who managed to survive the first initial months in Auschwitz, able to do so because they have colleagues, they have contacts in the camp, and they finally received the better job. EDNA FRIEDBERG: So the hierarchy within the prisoner population in Auschwitz was not only established by the Germans, but also by connections, who you knew, where you fit into the social environment. PIOTR SETKIEWICZ: Yes, it was natural for example there were many cases when for instance the head of the workshop was from Krakow and he tried to collect with him also the people brought from Krakow. Something like that, where particularly officers of the army [audio unclear] were members of this resistance organization that existed in Poland at this time. So they were able to find their colleagues and friends, among the new arrivals, and organized for them the better jobs. EDNA FRIEDBERG: The slide that we have up now just so you know what you're looking at is a picture of forced laborers in the constellation of Auschwitz camp working in a factory run for the Siemens corporation. If we could go to the next slide please. Actually let's go back, I'm sorry. Yes, thank you. Just wanted to read you again a few lines in Pilecki's words himself about the conditions of work in the camp, and obviously this is one of the most iconic images of Auschwitz, the Arbeit Macht Frei (Work Sets You Free) gate. "Carrying bricks back to camp, I sometimes lost consciousness and walked as if in a trance. I could see spots. It would not have taken much for me to stumble. Then I continued, urged on by willpower alone. I entered the camp gate. Now I understood the sign over the gate, Arbeit Macht Frei. Oh indeed, work sets you free—of consciousness. Sets the soul free of the body, sending that body to the crematorium." Now in June 1941 obviously the course of World War II changed dramatically. Could you tell us about that please, Dr. Snyder. TIMOTHY SNYDER: So from Pilecki's point of view inside Auschwitz, one actually has a perspective on the entire war. The history of Auschwitz is the history of the war. What the Germans were trying to do in Auschwitz, who their main enemies were, depended upon the stage of the war. When Pilecki comes into Auschwitz in 1940 the main enemy is the Poles, especially the Polish educated class. In the summer of 1941, this changes. On the 22ndof June 1941, the Germans betray their Soviet ally and invade the Soviet Union in the largest scale invasion in the history of the world, along with four or five allies. They begin what they consider a war of annihilation against the Soviet Union, attempting to destroy the Soviet political class as they tried to destroy the Polish political class, but considering, as an essential part of the Poliah political class, the Jewish population. So with the invasion of the Soviet Union in June of 1941 begins for the first time the deliberate mass murder of European Jews. And from this point forward the history of the war changes. In Auschwitz for a brief moment, the main enemy will be Soviet prisoners of war. We forget about Soviet prisoners of war because no one chooses to remember them. But they were the second largest victim after the Jews of German policy, some three million Soviet prisoners of war were killed, and some of them were those men—and Pilecki writes about this—some of them were the men who were "test gassed," who were gassed as experimental victims in Auschwitz. So for a moment, the Soviet prisoners of war, the Soviets, were the main victim. But with time, as the war against the Soviet Union continued the Jews became the main victim. And this is visible inside Auschwitz as it's visible in Europe as a whole. EDNA FRIEDBERG: Let's talk a little bit about the resistance movements within Auschwitz please, Dr. Setkiewicz, and I intentionally used the plural form for there were many different ideological strands. Could you describe that for us please? PIOTR SETKIEWICZ: From the very beginning it was...Pilecki's organization was the first one immersed in Auschwitz but there were some other smaller groups that were formed by other officers of the Polish Army, but in the course of time they united into the one major organization that might be considered as the military, meaning was composed mostly [coughs] of members of the Polish organizations, was based on the officers of the army, but also students, officials, members of the so-called intelligentsia, these were the people who [audio unclear] subordinate to the Polish government-in-exile in London and who believed that the leadership of the organization is in Warsaw namely was the headquarters of the Home Army so they were were one group, one part of the Auschwitz conspiracy. Another one was formed by the activists, by the politicians, members of different political parties. Mostly they were Socialist. But they began to play a more important role in the second part of 1942 with the arrival of the leaders of the organizations into the camp, when these people were able to constitute, make links with the outside world, with the local organization of the Polish Socialist party in Oswiecim and other places, so it was another stream of the Polish conspiracy but of course with the arrival of prisoners from different countries, mainly Jews, there were also many other smaller groups in Auschwitz. And there was also a small organization led by [audio unclear]. EDNA FRIEDBERG: And just as the resistance movement in Poland during the war has connections to organizational structures from before the war, these structures in Auschwitz have later reverberations as well. For example, Cyrankiewicz who later is premier in Communist Poland is active in resistance within Auschwitz, right? PIOTR SETKIEWICZ: Mister Cyrankiewicz is not Communist at this point was still prominent Socialist activist from Krakow who was arrested and sent to Auschwitz. He became one of the leading figures in the Socialist movement. Nevertheless in the course of time it became clear for the all the leaders of the smaller groups that it would be necessary to coordinate their efforts, and as a consequence was the formation of Kampfgruppe Auschwitz, Fighting Unit Auschwitz, that was done in order to consolidate the resistance movements of the whole camp and also to prepare for the future fight, particularly in this later period when it became clear that Germans were committing horrible crimes, gas chambers, crematoria in Birkenau. So most people in the camp, most prisoners did not believe Auschwitz would be liberated, they believed rather that the Germans at the very end would try to kill the prisoners, all the prisoners in the camp, and to destroy the barracks. That was probably the reason why all these organizations decided to unify but it was only in 1944. TIMOTHY SNYDER: One of the reasons that the Pilecki story has taken so long to get to us has to do with the attempt to monopolize resistance. There were—looking at Auschwitz but also looking more broadly at the camps and at resistance to the Germans in general—there were two major political ideas behind underground resistance to Nazi occupation. In Europe as a whole, two ideas that actually had significance in politics. The first was Communism, in the camps, in Ukraine, in Belarus, and in Yugoslavia. And the second was Polish patriotism in the camps, in Poland, and in the Polish armies that fought in western and southern Europe. Those were the two main political ideas that brought about resistance, but they don't talk about each other. So Pilecki is not going to write about Communists. And Communists are certainly not going to write about Pilecki. This is very important when we try to understand what happened to the story later on, because later on when the Communists will be in power in Poland, every example of resistance, Polish resistance and Jewish resistance, for example the ghetto uprising, will be turned into a story of working class resistance and Communist resistance. And if it doesn't fit that story it will be eliminated from history. So the fact that resistance was plural, but that the postwar world was not, is very important for understanding what comes down and what doesn't come down. EDNA FRIEDBERG: Absolutely. And it's part of the reason, it is the reason, that Pilecki's report is suppressed for so many decades, because he does not fit into this Communist narrative, this Communist prism for viewing the war and resistance. If we can go to the slide with the three faces please. I'd like to take us into 1942, where we see another major major shift in the prisoner population of Auschwitz. Thank you. 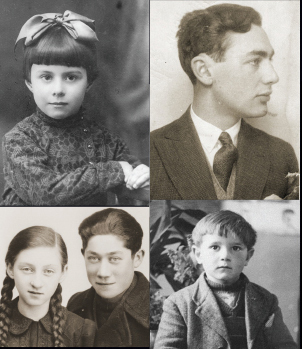 These are pictures of a Jewish girl, a Jewish man, and a Jewish woman, each of whom were deported to Auschwitz in 1942. Tell us a little bit about the ways, Dr. Setkiewicz, that the prisoner population changed in this period and why. PIOTR SETKIEWICZ: It was after the Wannsee Conference and ... at the moment when the authorities decided to solve the Jewish problem on a small scale in southern Poland, when the decision was taken to now organize the new camp in Birkenau, and to build the extermination facilities, gas chambers, crematoria there. In 1940, '41, the number of Jews in the camp consisted approximately 3, 5 percent of the overall population; from this time on, from the spring of 1942 with the arrival of the first mass transport of Jews, the number of Jews suddenly reached 50, 60 percent of prisoners, those prisoners who were registered. Of course masses of Jews were murdered without being entered into the camp records, were murdered immediately, but from a formal point of view, from the Nazi point of view, they were not prisoners at all, they were murdered just a few hours [audio unclear] after arrival to the camp. But it was a dramatic change in the history of Auschwitz, a new chapter in the history of the camp. So from this time on, Auschwitz became not only a concentration camp, horrible concentration camp, but also a death camp for Jews. EDNA FRIEDBERG: Here's how Pilecki describes this period of time, and I quote. "The transports kept coming and coming. The vast majority of transports went straight to Birkenau, where people, without being processed, were quickly turned into smoke and ash. Who was going into the jaws of death, and why? They were Jews from France, Czechoslovakia, Holland, and other European countries." And he goes on to describe details of the killing process that he gleaned from brief conversations with Jewish prisoners who were part of the Sonderkommando, who helped to process prisoners and their belongings. And in total approximately 1.1 million Jews were deported to Auschwitz over the course of the Holocaust. Let's move on in our story because we have a lot to cover. Dr. Setkiewicz, can you tell us how and when Pilecki escaped from Auschwitz. PIOTR SETKIEWICZ: He escaped after about a year after the arrival of transports of Jews in Auschwitz, it was in April 1943. It might be interesting to find out his reasons why he decided to do so because, in my opinion, it was because he was confronted with two factors. First, from a Pole he found out that nobody, practically nobody in Warsaw nobody among the leadership of the Polish resistance believed that any action towards the liberation of the camp would be possible. EDNA FRIEDBERG: So in a way, part of his mission was dashed. PIOTR SETKIEWICZ: Yes. So he realized that no one, not only in Warsaw but also the Allies, were not able to do something to liberate the camp, to bomb the camp for instance, that was one reason, so the second reason was more or less at the same time, the spring of 1943, the Nazi authorities at Auschwitz decided to transfer all these older prisoners, those with low numbers, from Auschwitz to other camps in the Reich, Sachsenhausen, Mauthausen, Dachau, and others. So he could see what was going on with his organization, gradually the people disappeared, being taken with these transports from Auschwitz to Dachau for instance. So his found his mission has come to the end. And it was why he decided to escape, particularly because he knew at this time that the Germans not punish the families of the escapees or the friends from the other commandos, so that was why he decided to escape and to go to Warsaw and to tell again the story to the leaders of the Polish underground. EDNA FRIEDBERG: How did he escape? PIOTR SETKIEWICZ: Well it was a bit complicated. He organized initially his transfer—his and two other colleagues—there was a bakery which was situated between both major camps, between Auschwitz Einz [Auschwitz I] and between Birkenau. EDNA FRIEDBERG: And transfer as in that was his workstation now? PIOTR SETKIEWICZ: Yes. This bakery worked on two shifts, daily and night shifts, so he arranged his transfer for night shift, and then he together with his colleagues they broke through the doors and then he managed to cross the territory around the camp which was heavily guarded by the Germans, and then finally he reached Nowy Wisnicz which is a locality about 100 kilometers from Auschwitz. EDNA FRIEDBERG: Did he escape alone? PIOTR SETKIEWICZ: No, with two other colleagues, also Polish political prisoners and members of his organization. EDNA FRIEDBERG: If we could please pull up the slide with the document. This is a document from our collection. It's not that clear here but it's a telegram signed by Rudolf Hoess who was the German commandant of Auschwitz describing the escape of prisoners, including the name—and we should have mentioned at the beginning that when Pilecki was in the camp, and in the roundup, he was there under an alias, under a code name of Tomasz Serafiński. So this lists by name that Tomasz Serafiński and others have escaped from the camp, and the date, and this is available in our archive. I've also been asked to alert you we are having time for a few more questions but then we will be having time for audience questions. When you entered the theater you should have received an index card. If you would write any questions that you have for Dr. Snyder or Dr. Setkiewicz on the index cards, staff members will be coming through the aisles to collect those in about ten minutes. If I could turn to you, Dr. Snyder, and ask you what happened to Pilecki later, after he escapes Auschwitz. Tell us a little bit about the Warsaw uprising of 1944. TIMOTHY SNYDER: So for Pilecki it's important to understand that for him everything he did had the same meaning, it was part of the same story, it was all on behalf of his notion of what Poland should be. It was all an expression as he saw things of Polish honor, a defense of Poland which was both physical and metaphysical. He went back into the underground. He occupied himself for a while with other prisoners who had escaped from Auschwitz. He rejoined the Polish resistance which by this time was called the Home Army. And when a decisive moment came in the summer of 1944 when the Polish Home Army took the fateful decision to try to liberate Warsaw from the Germans, Pilecki took an important part. And in this, and in many other things, he was humble, he didn't tell other people who he was, he didn't even initially I don't think take up an officer's command although eventually he did. And he played a very significant role in the Warsaw uprising, he defended an important juncture in downtown Warsaw. And he became famous for many people simply as a soldier during the Warsaw uprising, in fact for a long time there were many people who knew him mainly in that connection, he was remembered mainly in that connection. But the Warsaw uprising was itself an example of horrifying German repression and also an example of Poland's position between German and Soviet power. The reason why the Polish Home Army decided to try to liberate the city was that they thought there was a moment between when the Germans were falling back and when the Red Army arrived. Remember this entire time if you're Polish you're trying to imagine how the country can be liberated not just from the Germans, the present occupier, but the Soviets, the future occupier. You always have to think about both of these things at the same time. So the idea was to liberate Warsaw as the Germans were retreating but before the Soviets arrived. But in the event, this worked out just as badly as it possibly could. The Germans did not withdraw as quickly as expected, and the Soviets did not arrive as quickly as expected. Instead the Poles fought alone in Warsaw against the Germans in the largest example of this kind of resistance, were defeated, meanwhile the Germans killed upwards of a hundred thousand civilians and took the pretext of the uprising to literally burn down the city of Warsaw. Along the way the Polish uprising and the physical destruction of Warsaw destroyed the shelters of thousands of Jews who literally had no further place to stay in Warsaw. So Pilecki was a hero in one way in Auschwitz, he was a hero in a different way during the Warsaw uprising. After the rising was over, like other surviving soldiers, he was taken into custody. EDNA FRIEDBERG: And Pilecki's Auschwitz heroism counted for nothing with the Communists. What happened to him once the Communists, once the Soviets were in Poland. PIOTR SETKIEWICZ: Well he was liberated in a POW camp in Germany, then he came to Italy with General Anders' army, the Second Polish Corps there. PIOTR SETKIEWICZ: Yes, and then he returned to Poland. Well on the one hand he tried to organize a network of intelligence...to gather intelligence information about the situation in the country and to smuggle some of this information to Italy. But he was not deeply engaged in military activity in direct fight against the Communists. So that was the reason why these allegations, all these accusations raised by the Communist authorities against him and his friends from the former Home Army were not true. I mean, when he was arrested in 1947 everything seems to be organized such a way to prepare a trial for him and his group in order to show them as members of the Polish reaction group who ... this nation of the leading officers of ministry of internal security and other leading Communists in Poland ... which was not true. And after spending about a year in a Polish prison, very cruel investigations and tortures, Pilecki was finally sentenced to death and executed in 1948, not far from the Powazki cemetery apparently just a few days ago his burial site was discovered. The Polish press announced a week ago. EDNA FRIEDBERG: If we can pull up the picture we have of Pilecki, you can see this is after he has been arrested, imprisoned, and obviously tortured by Communist authorities before his essentially show trial and execution. Before we turn to audience questions we have just a few minutes to talk about the report itself, which was suppressed for so many decades. What is new in this report? What is the significance of this document? And how do we read it now in a different way having so many decades of suppression between us and when it was first written. TIMOTHY SNYDER: For me there are three extraordinary things about this document, one of which is obvious, two are less obvious. Let me mention the less obvious things first. The first is the circumstances under which he chose to write it. Pilecki in effect volunteered twice. He volunteered to go to Auschwitz in 1940, and then in 1945 in October, when he was in Italy and therefore safe, he volunteered to go back to what was becoming Communist Poland. And that was a decision that actually killed him, he survived the first mission, he didn't survive the second one. And because he was perfectly aware of the risk he was taking, he then wrote out this very long document. So it was precisely his awareness that he was going back to a great risk and he might now have another chance to write, in other words precisely this predicament of Poland between German and Soviet power which led him to write, that's the first thing. The second thing which is extraordinary about this document is how farsighted it was. We of course have in our minds the Holocaust, we look at the world and the continent and the history of the twentieth century through the idea of the Holocaust. But Pilecki was observing it as it happened, and he was observing it as a Polish patriot. Remember for him Poland and its independence is everything. Everything that he does is based upon an extraordinary notion of Polish and personal honor, and for him his own experience in Auschwitz is just a matter of doing what every Pole should have done. He sets a very high standard for patriotism. But even though his entire self definition is Polish in this sense, he not only notices the Holocaust—what we now call the Holocaust—but he sees fit to write about it in such a way that every reader will understand how it's different from the suffering of Poles. In 1945, he makes clear that what's happening in 1942 to the Jewish prisoners is quite different from what was happening to the Poles, horrible though it was, and he goes to a certain effort in 1945 to make sure that any future reader of this report will understand what the Holocaust was. I think that's rather extraordinary. We reading it in 2012 can almost take this for granted, but in 1945 he was doing something which not everyone would have done, on the contrary. And then the other thing which is obvious about this and which Dr. Setkiewicz is much more qualified to comment upon than I am is the simple description of Auschwitz as a camp and as a death facility. We have few if any descriptions that compare to this one and therefore it's a priceless document. EDNA FRIEDBERG: One has to think that if this document had been widely known in the immediate aftermath of the war, its significance would have been that much greater, because it would have been so unusual, so early. PIOTR SETKIEWICZ: Yes, particularly because it refers to this period of time when you have not many sources and the organization led by Pilecki was almost, was partly liquidated by the Gestapo [audio unclear] many members of the organization from this early period were murdered, were executed under the Black Wall in Auschwitz [audio unclear]. We don't know much about the links between the camp and the outside world at this time because again, members and leadership of the local Home Army in Oswiecim, in the city, were arrested in the fall of 1942 and executed, again under the Black Wall in the camp. So that is why also the Pilecki testimony is very valuable for the better understanding of this initial period of Polish conspiracy in Auschwitz. EDNA FRIEDBERG: One of the last surviving voices. How did Pilecki's religious faith influence his decision to enter Auschwitz? Could you expand on the role of corporations in the operations at Auschwitz, in terms of forced labor—corporations that profited from the availability of slave labor within the camp? Please comment on the Red Army watching Warsaw's destruction [during the 1944 Warsaw Uprising] from the other side of the Vistula River—context, motivations, why, how. How is it that Pilecki was not murdered during his captivity at Auschwitz? How is it possible for someone to escape [Auschwitz]? When was the Birkenu camp—the killing center—constructred relative to the smaller, original Auschwitz camp? What happened to the Pilecki family? EDNA FRIEDBERG: Pilecki's wife and children did survive the war and in fact I can tell you that word of this program today has reached Poland and just last week we received an e-mail from a great-grandson of Pilecki saying that he had heard we were having this program and he was very pleased to have his great-grandfather honored and recognized in this way, which meant a lot to us as well. Dr. Snyder, do you have any closing thoughts about the significance of this man and this document and talking about him today? TIMOTHY SNYDER: On the one hand we clearly are dealing with someone who was exceptional when you ask how many people did something like this, as Dr. Setkiewicz said, the answer is one. There are similar questions where the answer is also one. If you ask how many people intentionally smuggled themselves into the Warsaw ghetto and then made their way to the Allies and tried to inform the Allies of what happened, one person did that as well. Jan Karski. So there are these almost impossible missions which people fulfilled, but only one person did. Only one person did. And that means that we're dealing with someone who is exceptional, and we ought to remember that they were exceptional. Honor them of course, but remember that they existed, because the difference between one and zero here is extraordinary. If no one had volunteered for Auschwitz, I think that the way we think about Auschwitz would be different. We'd know much less about it but the way that we think about people and Poles would be different. If no one had tried to tell the Allies about the Holocaust, then the way we think about the Holocaust and the Allies and Poles and human beings would be different. So it's worth remembering these individuals who did something which we would not have done, which we can be sure we would not have done, we would not have undertaken, we would not have conceived of doing—because it reminds us that these things were humanly possible, at the extreme of what humans could do, but nevertheless humanly possible. EDNA FRIEDBERG: This Museum, the United States Holocaust Memorial Museum, is charged in its mission with being a living memorial to the Holocaust, and I can think of no better story with which to inspire and remind us of the power of the individual than that which we discussed today, so I would like to thank you, Dr. Setkiewicz, for traveling from Poland, Dr. Snyder for traveling from New Haven, and all of you for joining us today, also thank you to the Polish embassy and to Ambassador Schnepf. Thank you. In September 1940, Polish Army Officer Witold Pilecki deliberately entered the Auschwitz concentration camp as a prisoner to gather intelligence about the crimes committed there. After more than two and a half years of hard labor and torture, he accomplished his mission and managed to escape with the help of the Polish underground. After the war, Pilecki was arrested by Communist officials and executed in 1948. Witold Pilecki was a man of deep principle—a patriot, a Catholic, and an unwavering opponent of totalitarianism who eventually paid with his life. On January 27, 2013, the anniversary of the liberation of Auschwitz, the Museum hosted a public program in partnership with the Embassy of the Republic of Poland to honor the bravery of this resistance fighter. Watch the video here to learn more about Pilecki and the Auschwitz concentration camp complex.